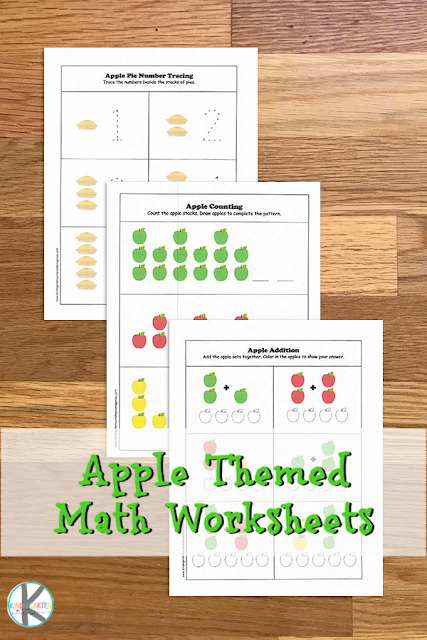 Kids will have fun practicing counting, adding, grouping, and more with these free printable apple math worksheets. Fall is such an exciting time for kids entering Kindergarten. There are so many fun activities you can do at home related to that time of year such as back to school, leaves, and apples. 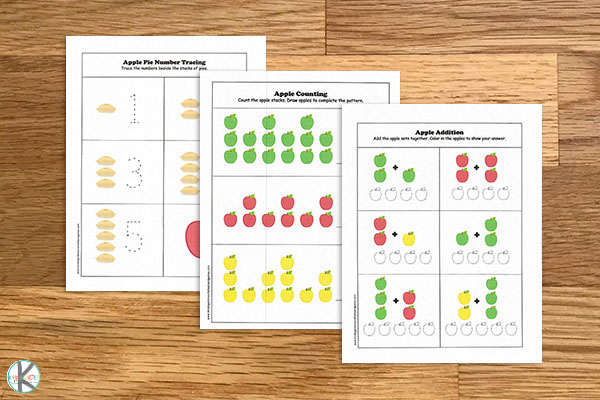 I’m sharing an Apple Math Worksheets that is perfect for young kids just learning addition, patterns, and counting. Add these worksheets to an autumn apple unit study along with apple tasting activities, stories about apples, and even some apple baking! Fall is a great time to try different apple flavors too. Try red, green, yellow, and a combination of these colors to see which flavor your child likes the best. 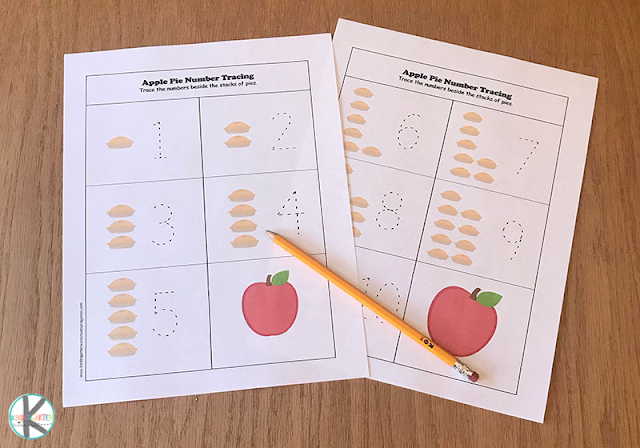 In this free apple themed worksheet pack your child will work on fine motor skills with number tracing and counting and learn to recognize colors and number patterns. They’ll group large and small items, then create their own groups and patterns. Below you’ll find a list of the pages in the printable pack with descriptions of the activity focus on each page. This can used as review material or as an introduction to numbers, patterns and addition. Apple pie number tracing 1-5. Counting stacks of apples with number recognition. Sorting groups of apples by size. Download the printable pack using the link below. Print the pack. Kids can complete the worksheets individually or at once. We like to do a page at a time in between other themed activities. Expand on the work in the pack by using colorful counters or by creating patterns with real red, green, and yellow apples. Enjoy the cooler months of autumn and learning all about apples!